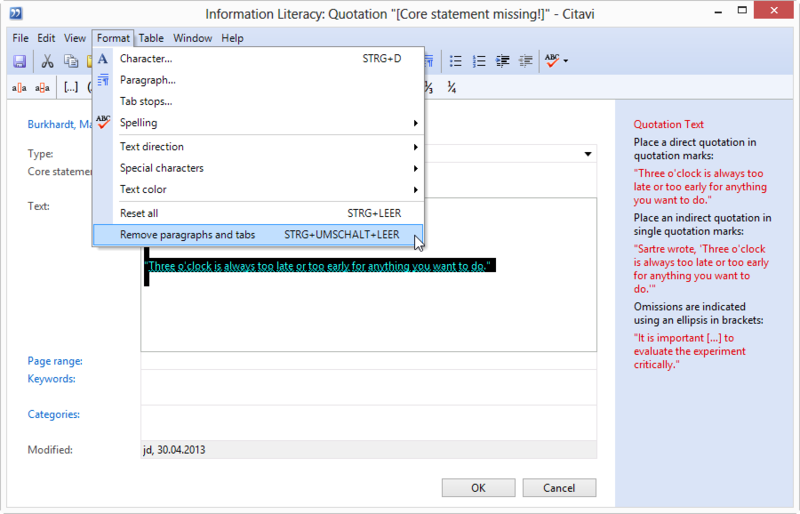 At the moment I have to paste quotes into Word and then remove line breaks using search and replace, or edit them within Citavi. I know this is not the fault of Citavi. However, I wonder whether the developers might consider adding a simple "remove line breaks" button, or a "paste text without line breaks" option to assist users and save time? This happens with many of my PDF files, so I assume other users suffer the same problem? We're glad to hear that you like using Citavi! Well, that is just superb!